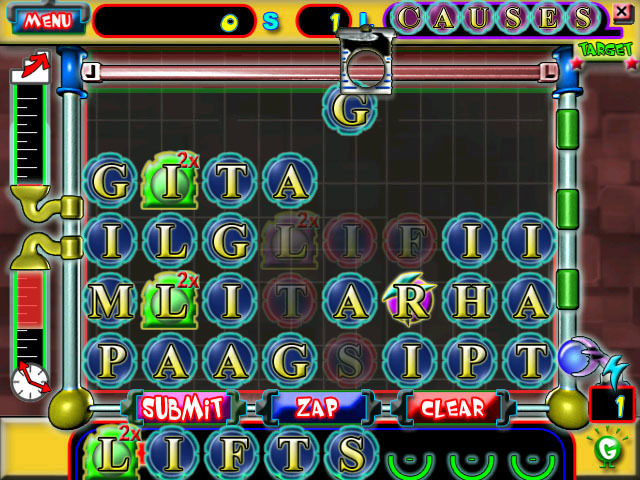 Hold onto your seat; the thrilling Word Jolt delivers a gigantic jolt of intense action and electrifying fun!Create words by selecting letters from the game board using either your mouse or your keyboard. 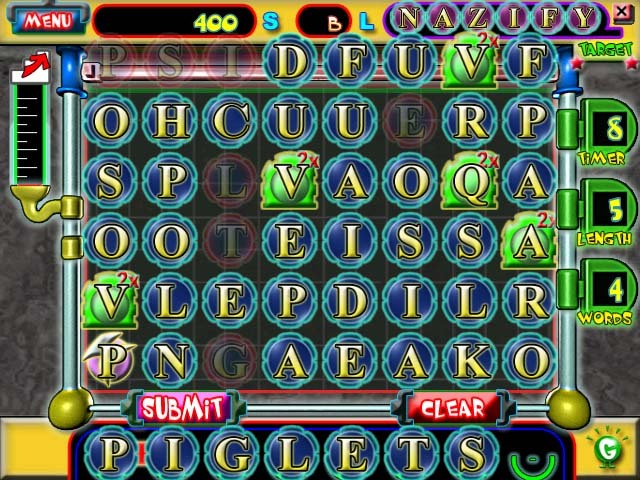 Don’t let the letters stack too high, though, or it’s game over. 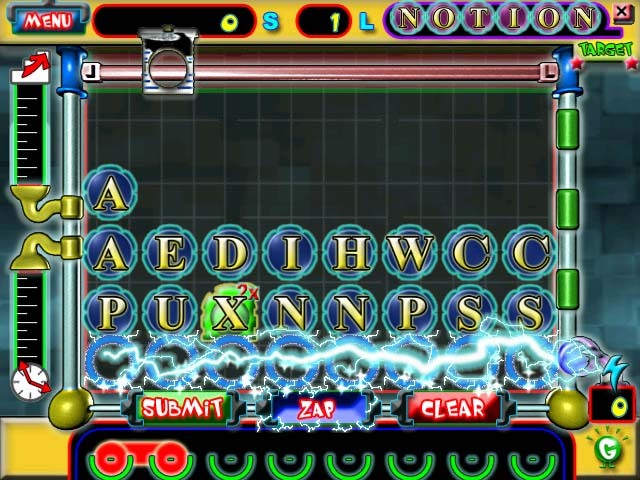 Featuring two unique game modes and three difficulty levels, Word Jolt is guaranteed to please both the casual game fan and word game enthusiast in you.Get a jolt; download now.